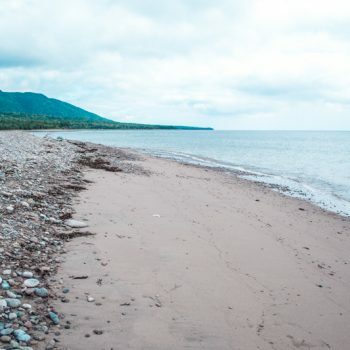 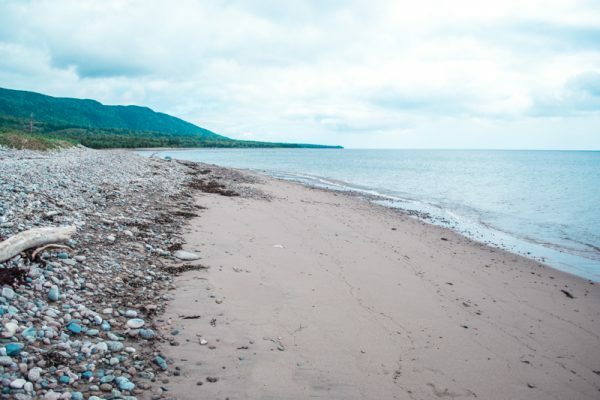 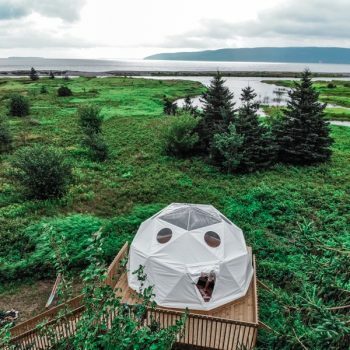 The unique Cabot Trail’s Wilderness Resort, The Cabot Shores, is the greatest family glamping experience you can have in Cape Breton. 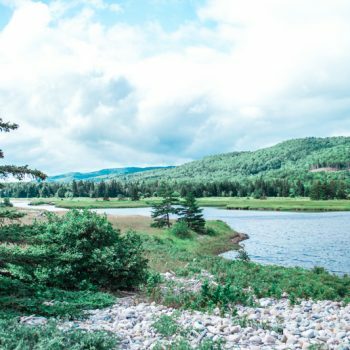 Discovering this world-renowned scenic drive, the Cabot Trail, was on our travel bucket list, and we were delighted to choose The Cabot Shores as our safe haven for our trip. 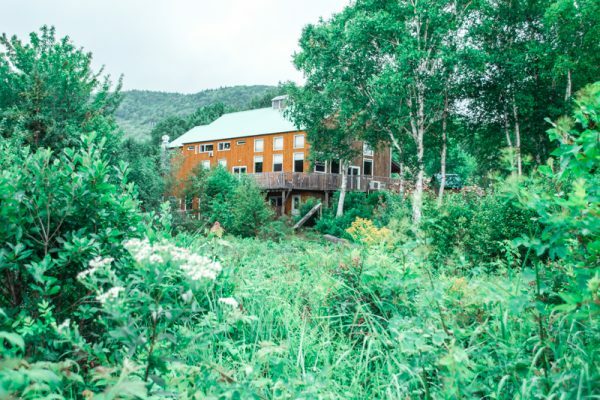 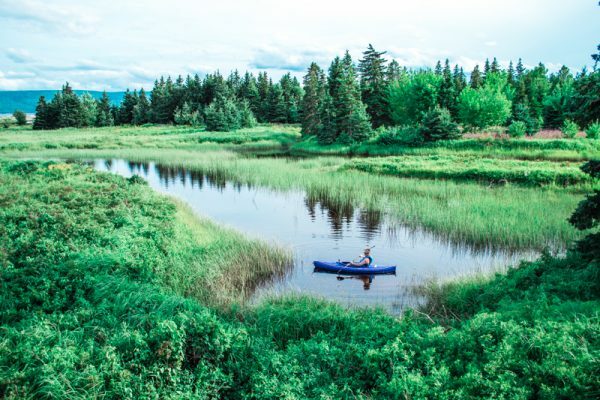 Located almost at the beginning of the Cabot Trail, if you choose to drive it anticlockwise, it is the perfect location to let you explore the popular and also the hidden gems that dot this famous drive. 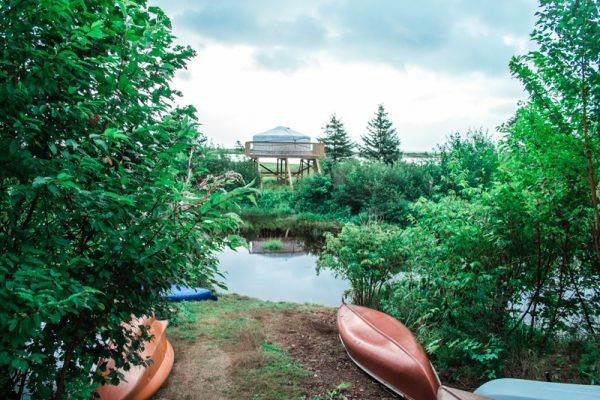 The tremendous land where the Cabot Shores is nestled offers visitors a quiet and peaceful environment to unwind and enjoy the wildlife. 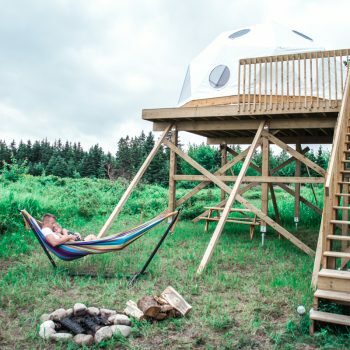 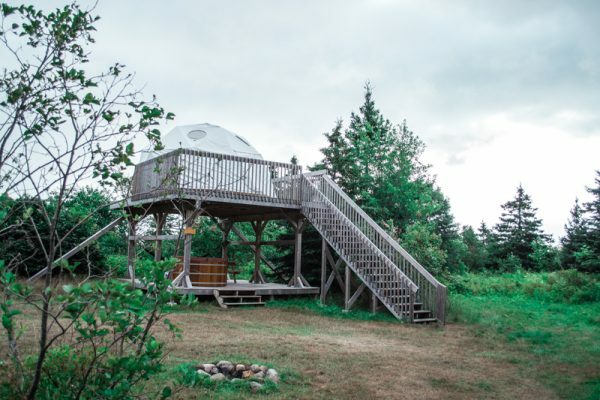 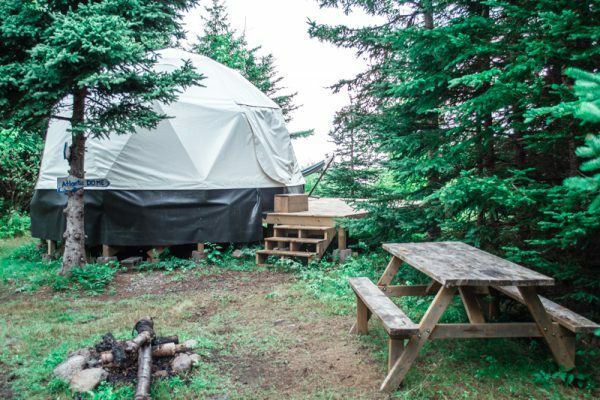 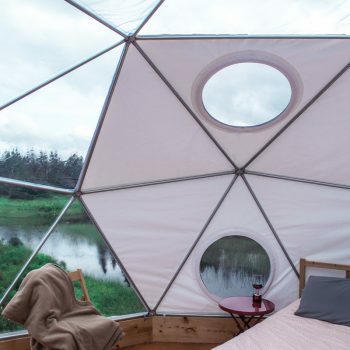 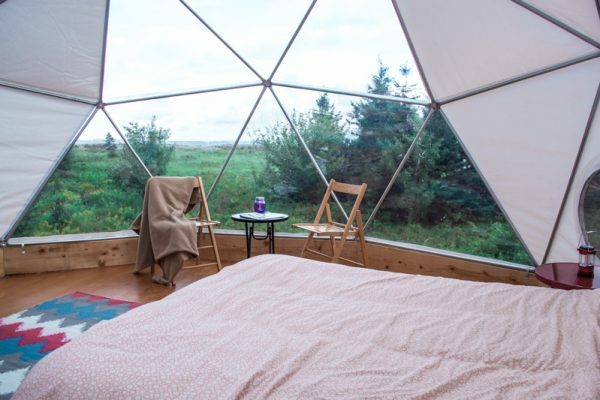 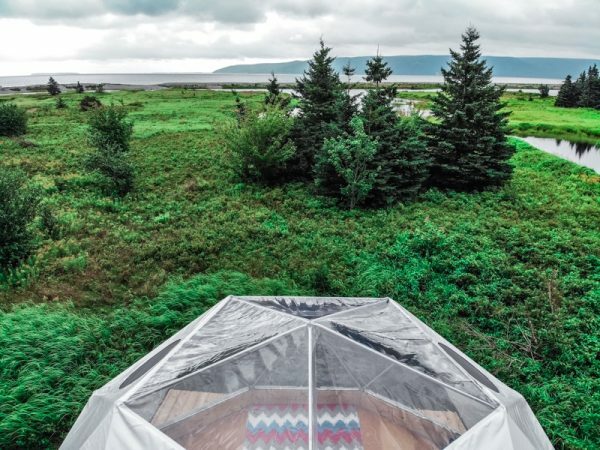 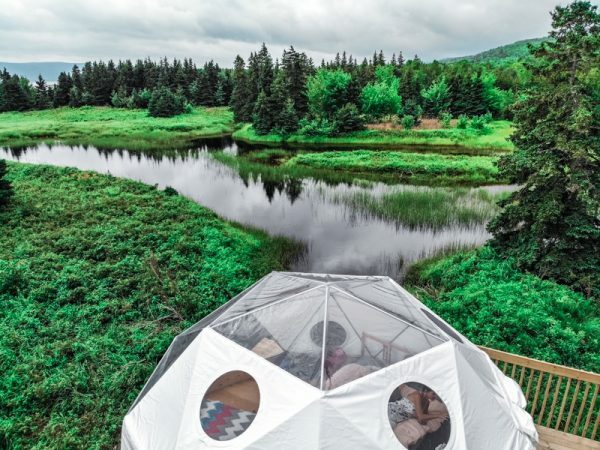 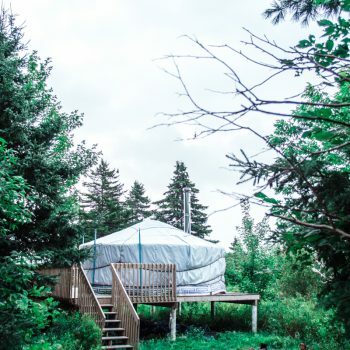 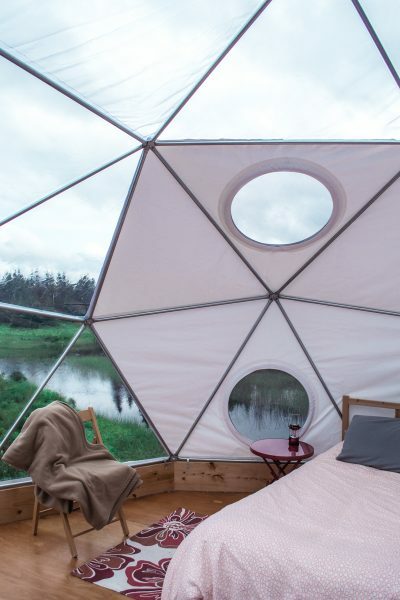 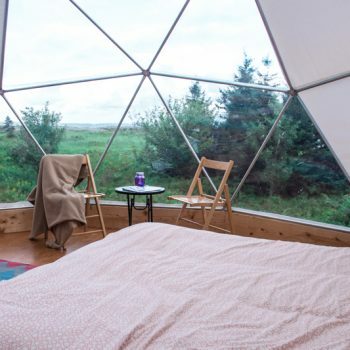 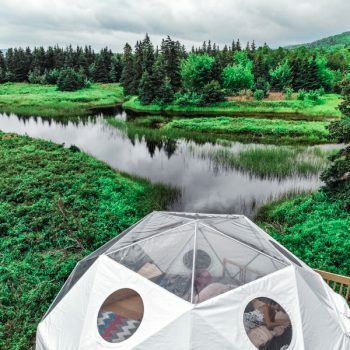 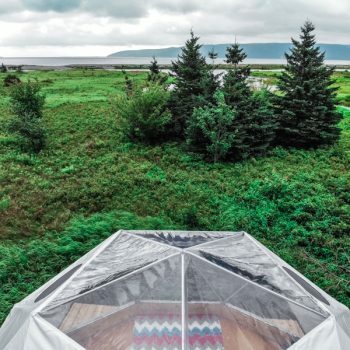 It is at The Cabot Shores that we experienced for the first time glamping in a dome. 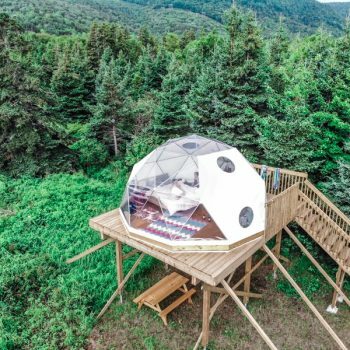 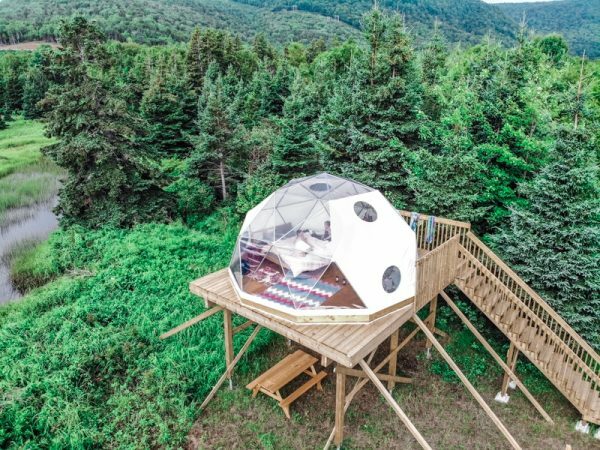 The brand new treetop Beaver Cove Dome was our retreat for 3 nights, and I can assure you we were overexcited when we discovered the breathtaking vista we would have every morning when we would wake up: nothing else than the Atlantic Ocean in the distance. 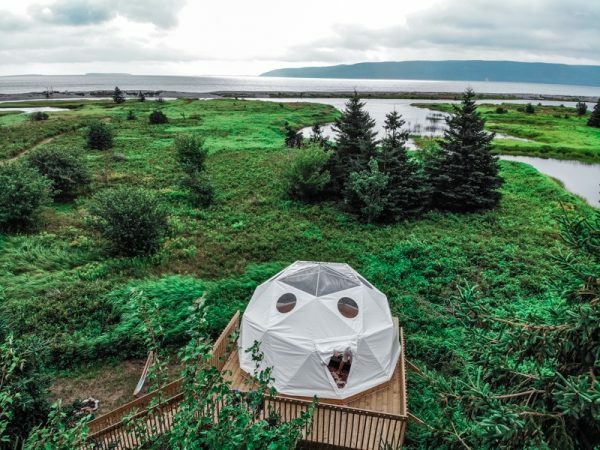 Each night was so special too, a blanket of stars was illuminating the sky and we were lured to sleep while marveling at the infinite cosmos. 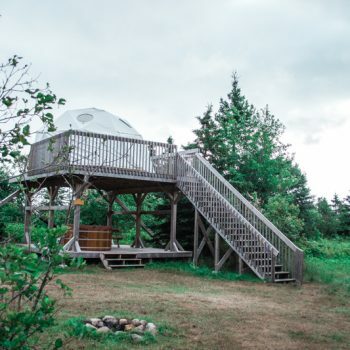 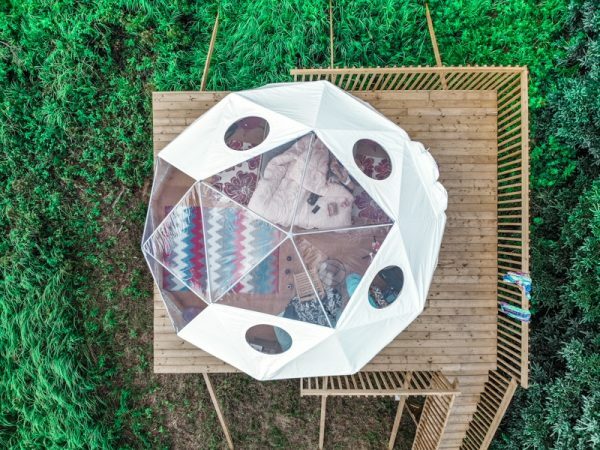 All domes at The Cabot Shores are isolated so the guests have the feeling to be alone in the wild. 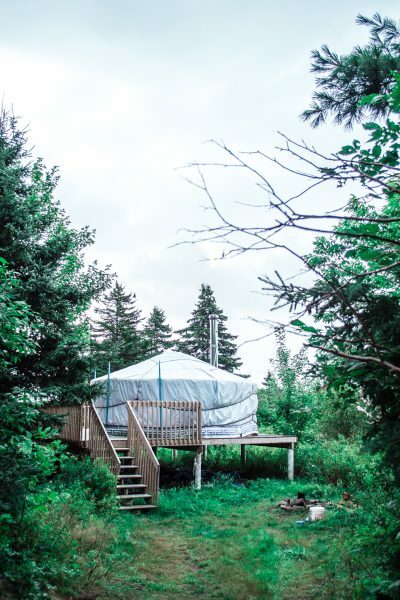 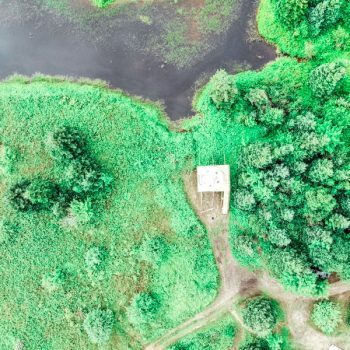 The yurts are also offering precious privacy, and if you prefer a regular type of accommodation, you can choose from cozy chalets, lodge rooms or even camp sites. 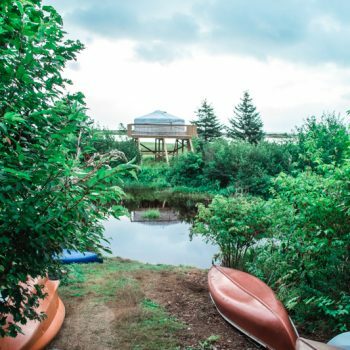 Staying at The Cabot Shores will melt your stress away, and you’ll instantly feel an urge to connect with nature… which is the ultimate relaxing vacation, don’t you agree? 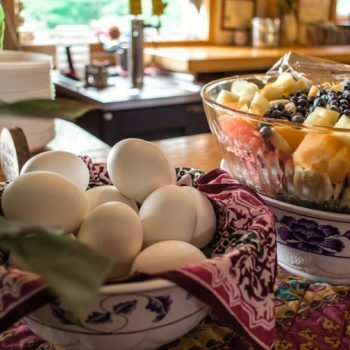 A garden to table menu is offered by a very talented chef at The Bistro. 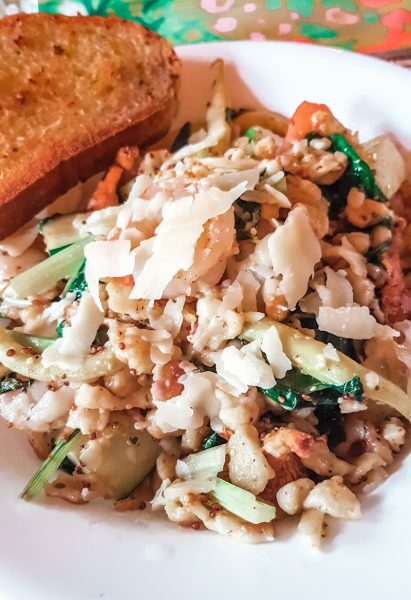 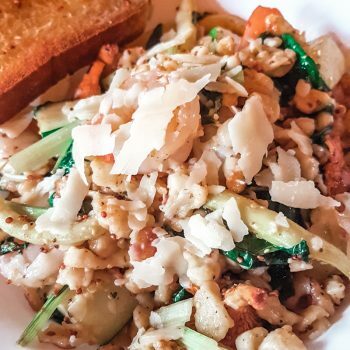 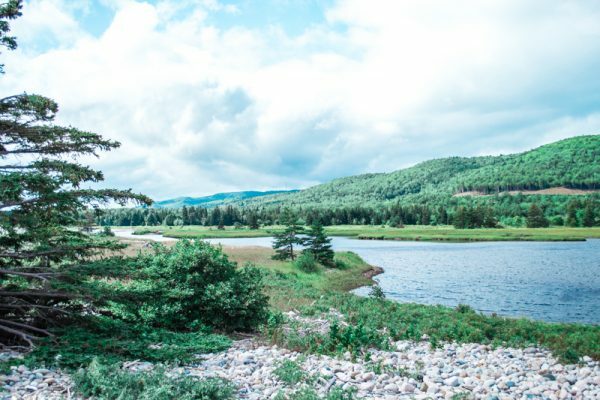 During our stay in Nova Scotia, we had the chance to taste multiple meals at Trip Advisor’s top restaurants and believe me when I say the Bistro offers the ultimate cuisine of Cape Breton. 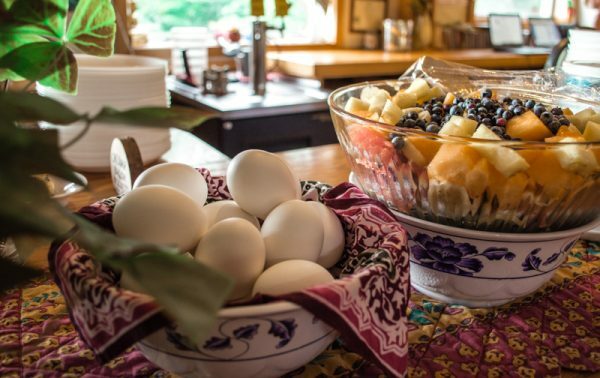 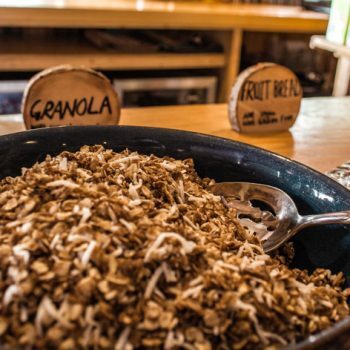 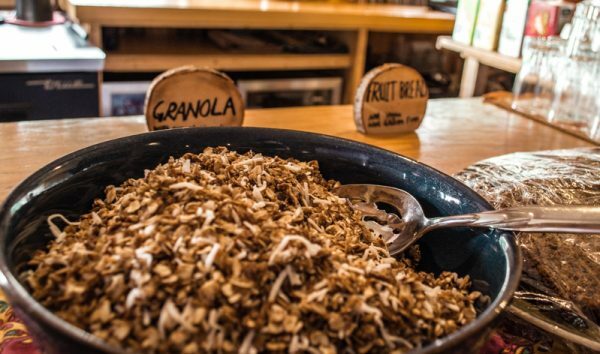 A delicious breakfast buffet is also available for all guests, and besides being very healthy, it is also so yummy that our little 5-year old Emma-Kate said it was the best breakfast she ever had! 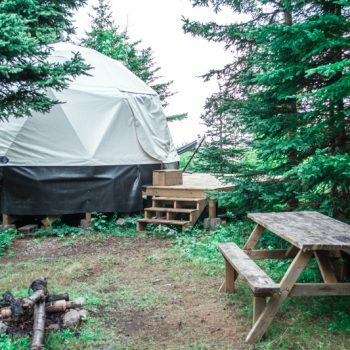 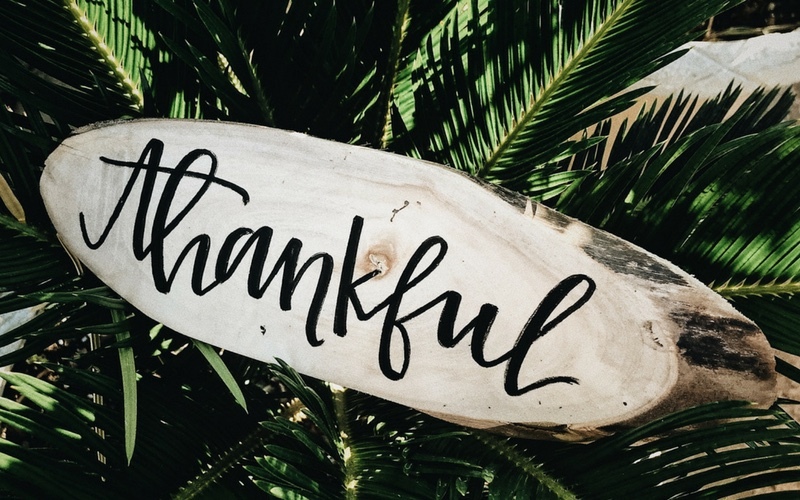 Your choices are plenty: hiking, swimming, paddle boarding, kayaking, canoeing, relaxing in an outdoor hot-tub, Qi Gong meditation, sauna, massages, bonfires as well as music shows and indoor activities too. 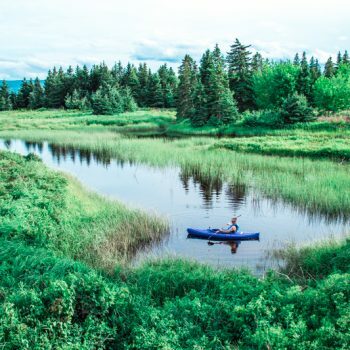 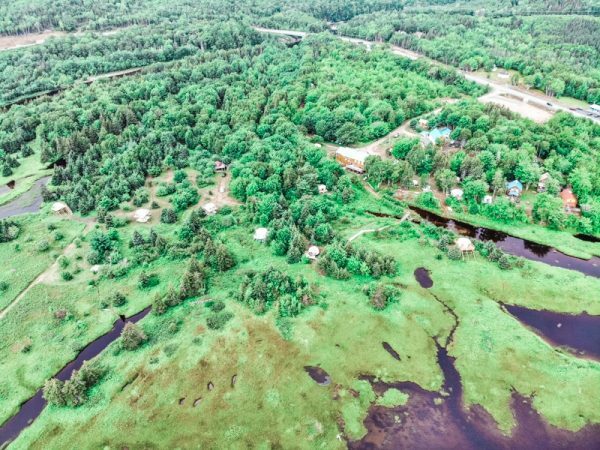 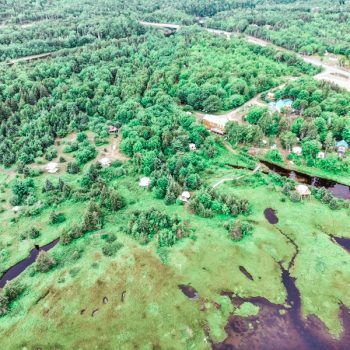 Walking around The Cabot Shores land by itself is an activity: from the Church Pond to the Indian Brook and the inevitable Atlantic Ocean, wilderness will capture your heart and leave it peaceful. 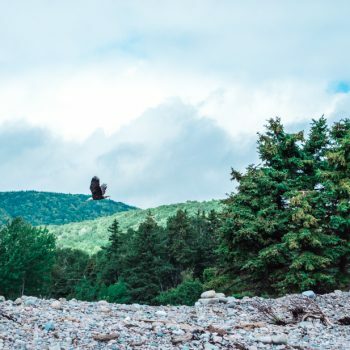 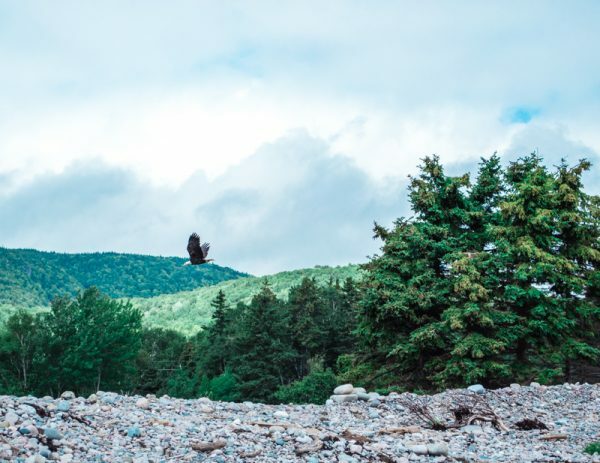 One last quick tip: take the Eagle Feather Ferry and pull yourself across the Church Pond to get to a nice little private beach where you can spot a stunning eagle, living on one of the tall pine trees. 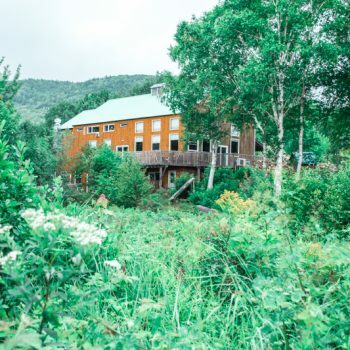 The owners, Paul and Barbara, as well as their 4 legged friend Cosmo, run their lives with a purpose: helping you discover inner peace in a unique and breathtaking scenery. 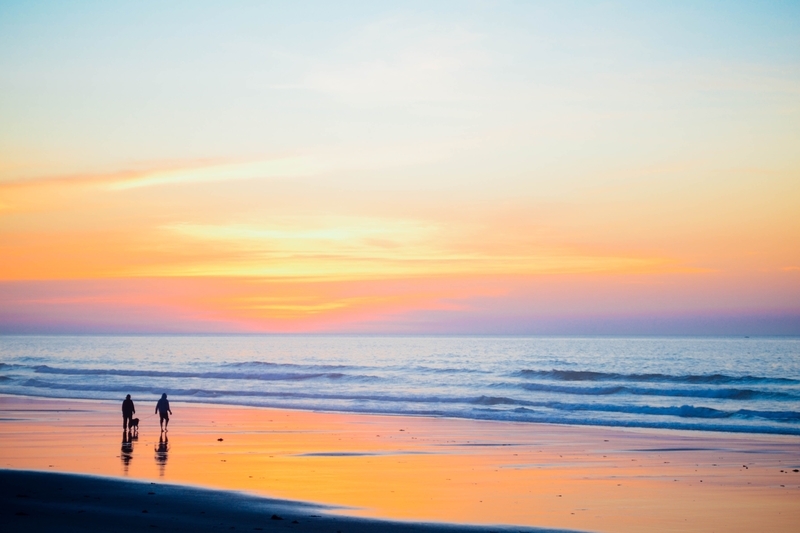 Let them do their magic and you’ll leave with a heart filled with love and precious memories to bring home. 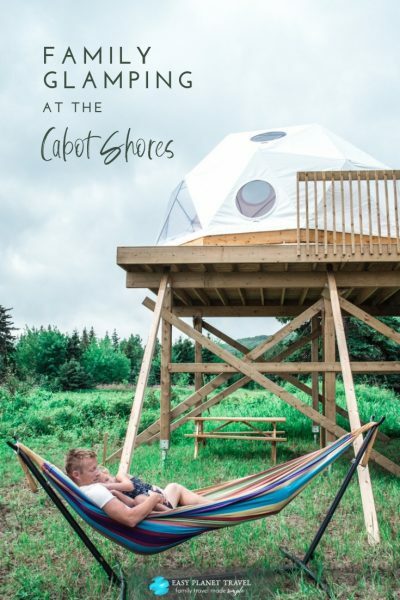 We Want To Thank the Cabot Shores For Hosting Us During Our Family adventure in Nova Scotia. 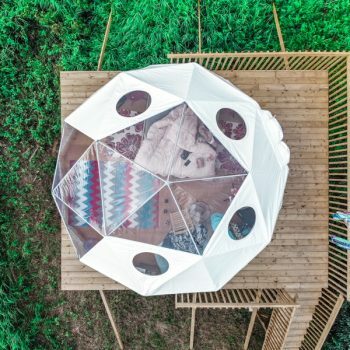 They Didn’t Ask Me To Write A Positive Review. 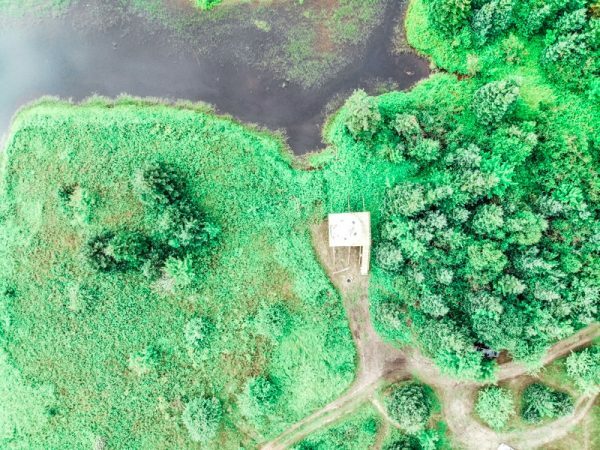 All Opinions Are Truly My Own.